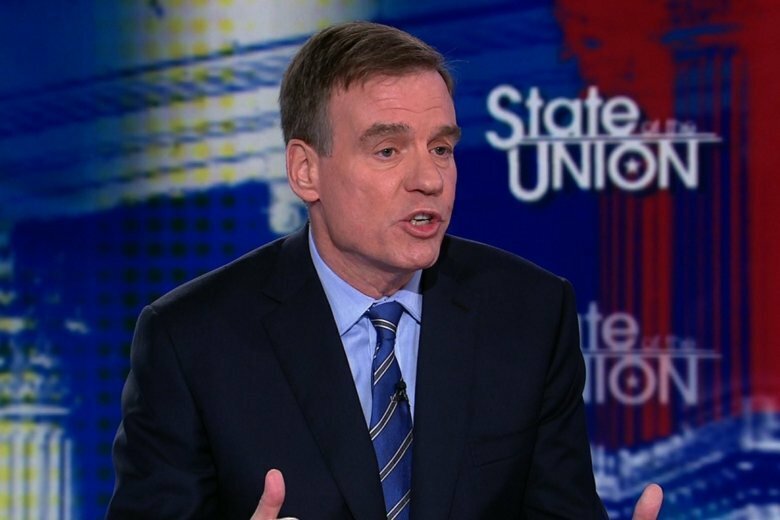 Fed up with the partial government shutdown that's lasted more than a month, Sen. Mark Warner introduced legislation Tuesday designed to prevent future government shutdowns from ever happening again. WASHINGTON — Fed up with the partial government shutdown that’s lasted more than a month, Sen. Mark Warner introduced legislation Tuesday designed to prevent future government shutdowns from ever happening again. The legislation is called the Stop STUPIDITY — or, Shutdowns Transferring Unnecessary Pain and Inflicting Damage In The Coming Years — Act. Warner said the bill would keep the government running if there’s a lapse in funding by automatically renewing government funding at the same levels as the previous fiscal year, with adjustments for inflation. “It is disturbing that the daily lives of hundreds of thousands of workers are at the mercy of dysfunction in Washington,” Warner said in a statement. He and other lawmakers from Virginia, Maryland and D.C. have taken an active role in pressing for various pieces of legislation aimed at ending the shutdown and helping federal workers. They represent tens of thousands of federal employees who have been going without pay as the shutdown continues. Virginia Sen. Tim Kaine and Maryland Sen. Chris Van Hollen, both Democrats, again on Tuesday called for the Senate to vote on legislation that’s been passed by the House to reopen the government. Senate Majority Leader Mitch McConnell initially objected and urged Democrats to support President Donald Trump’s proposal to provide new protections for “Dreamers” — children of people who came into the U.S. illegally — along with $5.7 billion for the border wall. “The opportunity to end all this is staring us right in the face,” McConnell said of the legislation. McConnell later announced that the Senate will take up the president’s proposal on Thursday, along with a House-passed measure aimed at reopening the government. While both are likely to fail, it will mark the first time the Senate has voted on House legislation related to the shutdown. Democratic senators have been bottling up other legislation, arguing that reopening the government should be their first priority. Van Hollen said Tuesday that the partial government shutdown is costing the country’s economy about $6 billion a week. “This coming Friday will mark the second full pay period in which they get pay stubs with a big fat goose egg on them,” he said, referring to the 800,000 federal employees who are either working without pay or who have been furloughed and are not getting paid. As for Warner’s legislation, Garren Shipley, a spokesman for the Republican National Committee, was skeptical and claimed that Trump’s current proposal could get the government reopened right now. “If Sen. Warner had put half as much time into actually negotiating as he did coming up with that acronym, federal workers would have never missed a paycheck,” Shipley said.